The Algoa Flying Club has always strived to be ahead in terms of pilot training requirements and to this end, spent more than a year researching the market for the ideal flight simulator to meet today’s high certification standards. The Elite S812 is unique in that it is modular and thus may be configured as either single or twin engine as required. This modular adjustment is not merely a software change, but the complete panel and all controls are changed accordingly. 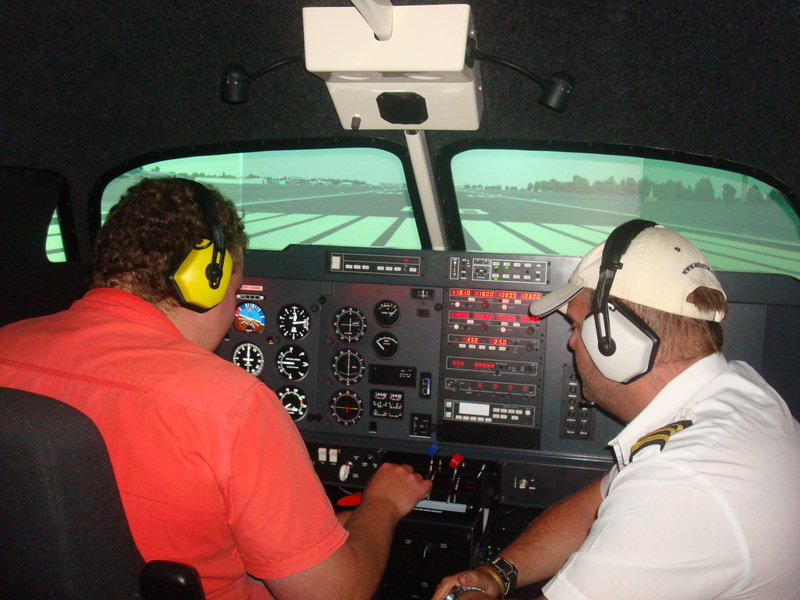 The Elite S812 fully complies with all the standards for JAA FNPT II qualification and thus is one of the very few simulators in South Africa that totally comply with the new SA CAA requirements. This S812 was configured to meet Algoa Flying Club needs for the simulation of both a complex single, in this case a Cessna 172 RG, as well as a multi-engine, Beechcraft Baron 58. Both of which form part of the actual fleet use for training and the choice thus ensures an excellent transfer of learning from the simulated platform to the real aircraft. The incorporation of a sophisticated dynamic control load system also ensures a control response and feel that is as close to the real thing as possible. This simulator will also allow up to half of the conversion time to a Multi-engine Instrument Rating, with more efficiency and greater attention to training in emergencies than can ever be possible in the real aircraft. 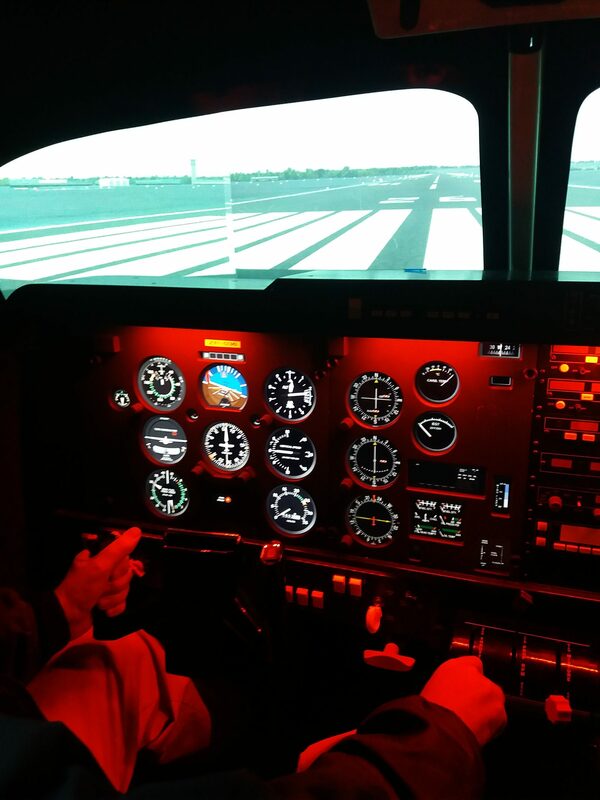 The simulator is installed in a bespoke simulator room and includes a 3-channel visual system with outstanding 3D visuals of the schools’ home airport in Port Elizabeth, South Africa. 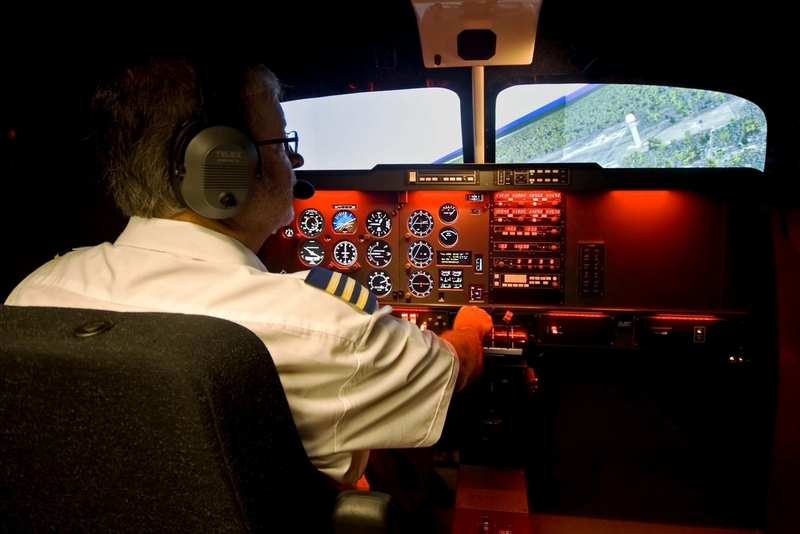 The flight instructor can provide a highly realistic flight experience to the student, both through providing infinitely variable weather conditions as well as the ability to carry out approaches at a multitude of South African airports. A sophisticated visual system provides an environment in which even visual flight maneuvers may be practiced. In addition, the FNPT II flight simulator will allow the Algoa Flying Club to offer Instrument as well as Airline Transport Pilots Licence re-validations and will enable pilots to meet recency requirements. The Algoa Flying Club now joins the ranks of only a handful of training organisations on the continent that have a state-of-the-art simulator that meets every pilot, and prospective pilot’s needs, from Private- and Commercial Pilot Licence training, through Instrument ratings, to currency requirements and ATPL re-validations.